2 1/2 days left to the Division G Toastmaster conference! ‎Anyone more want to sign up? Want to listen to the 2005 World Champion in Public Speaking, Lance Miller? Want to listen to District59 Lt Governor Education and Training, Barbara Hoerger? 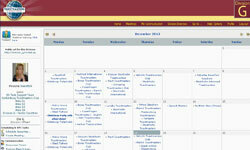 Look at the top and click on the “AreaDivision conference” bar for registration and more information!